Cameron Colley is an Edinburgh-based journalist with a habit for speed (both drug and motion), an obsession for computer games, and a highly developed sense of moral outrage. As a journalist, he worships the patron of all gonzos, St. Hunter S. Thompson, and his righteous indignation is expressed in print as exposes on cheap liquor, defense boondoggles, and inept judges. Of course Cameron is not without sin–no self respecting protagonist could be–and his is an adulterous affair and an abuse of substances. But he is a likable enough rogue that it would be hard to suspect him of a string of grisly revenge murders against a host of wealthy capitalists and political powermongers. We, however, get to see the story from his point-of-view, and the police don’t. Iain Banks is one of my favorite authors, someone I truly admire for his ability to switch between genres like a chameleon changes colors. 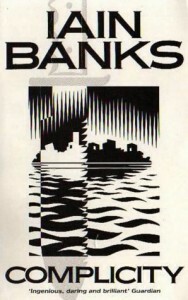 Under Iain M. Banks, he writes adventure-based science fiction that not only entertains, but usually has a moral underpinning. Without the middle initial, his books are variously mystery, thriller, or mainstream, always good, always interesting. 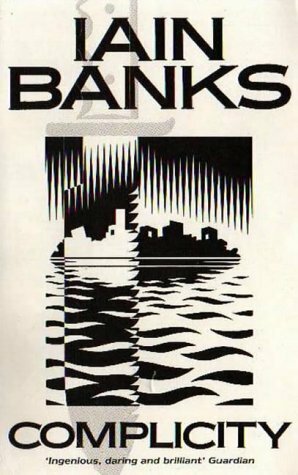 If Banks was not so popular with other readers, I would likely have created a biopage for him similar to the one I did for Jonathan Carroll. But Carroll is a cult writer while Banks has been recognized in England as one of their best and brightest by almost every body politic. The result is that he has quite a presence of fans available to keep his name on the net and his books out of the mid-list. I thought about trying to make a case for British authors being more eclectic than their American brethren due to the size of the country and the concentration of the market, but I immediately started to pick holes in my argument. For example, you would think that there would be more variety in a larger country, especially one as diverse as the U.S. To some extent, this is true–the regional presses, especially the university ones, keep alive the ethnic literature of their areas. But I was trying to make a point for the diversity that could be expressed by one author, encouraged by publishers, not the diversity of a publishing program in general. Okay, but are all British authors as diverse as Banks? No. Definitely not. Case in point: Terry Pratchett, probably their most popular author, and he writes the same type of humorous fantasy novel year after year. So, although I would like to complain about John Grisham, Tom Clancy, Danielle Steel, and all their progeny, and look to the U.K. as different, truth is things are tough all over. To return to Complicity, it is a novel that is not without faults, although what one person might see as problematic another might have no difficulty with. For example, the beginning of each early chapter has a crime described in second person. Some people might be a little squeamish about phrases like “you hit him on the head with the tyre iron, and it sounds like egsshells cracking” (my words–this phrase doesn’t actually appear). The sexual references are not for prudes, and, while not truly glorified, drug use is not condemned, and that does not sit well with some people either. For those with strong stomachs and open minds, Complicity is a fine novel that is well worth your time.